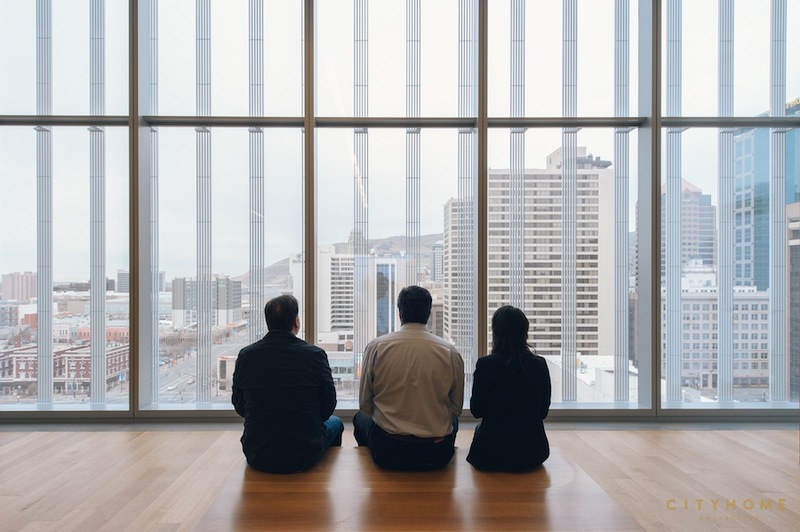 Salt Lake City has some incredible public buildings, but many of them are more than 100 years old [take the City & County Building or the State Capitol, to name a beautiful pair]. 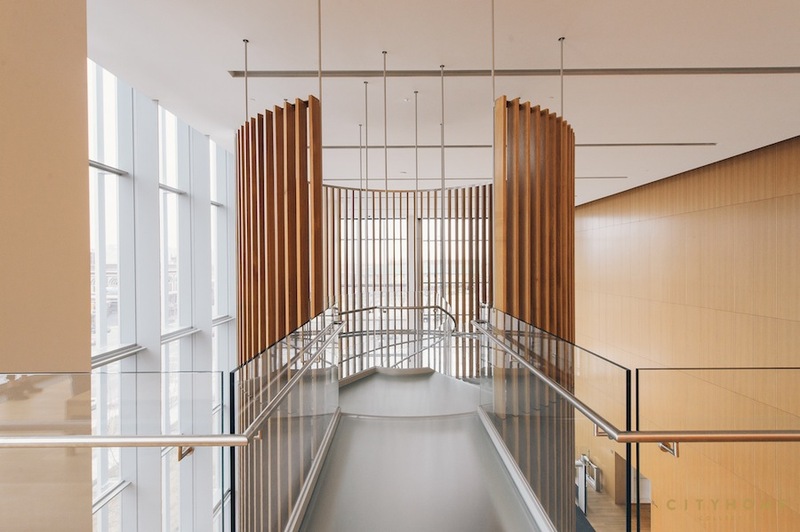 When it comes to government buildings with killer modern architecture, it’s long been the downtown Public Library and…not much else. 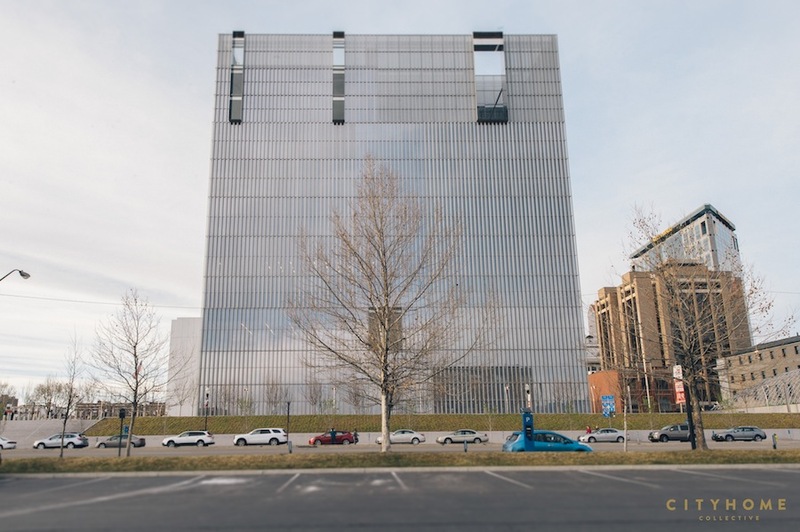 That's precisely why we’re so excited about the relatively new [and slightly controversial] federal courthouse at the corner of 400 South and West Temple. 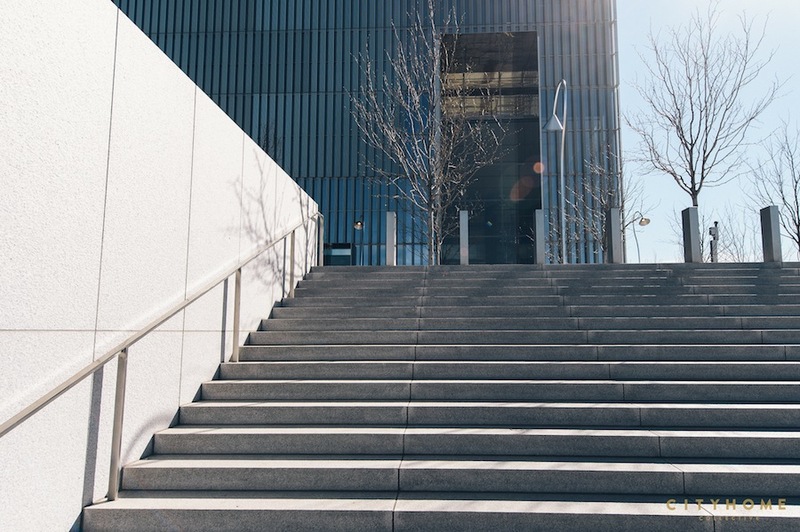 Designed by Thomas Phifer and Partners, a New York-based architecture firm known for their stunning glass buildings, the courthouse brings a welcome level of architectural sophistication to the downtown skyline. 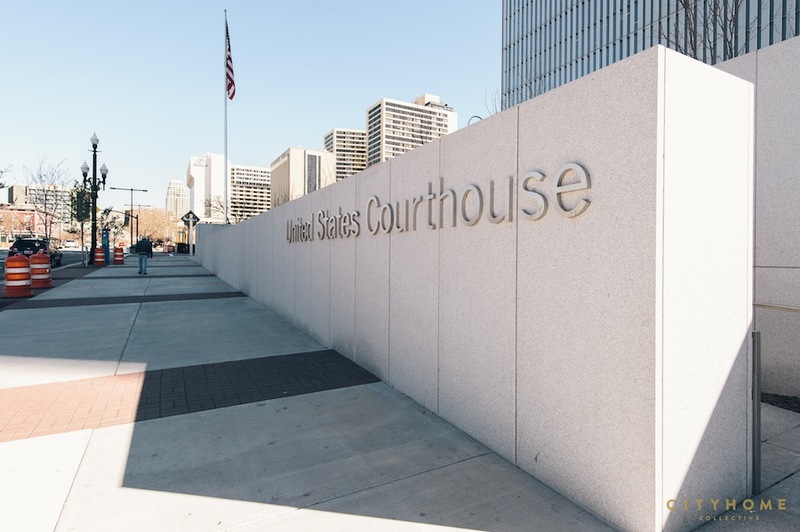 For inspiration, the design team [along with a few representatives of the court] flew all over the country to look at other federal courthouses during the design process. The group noted that so many of the buildings they saw were dark and enclosed-feeling. And so, they decided to do the opposite. 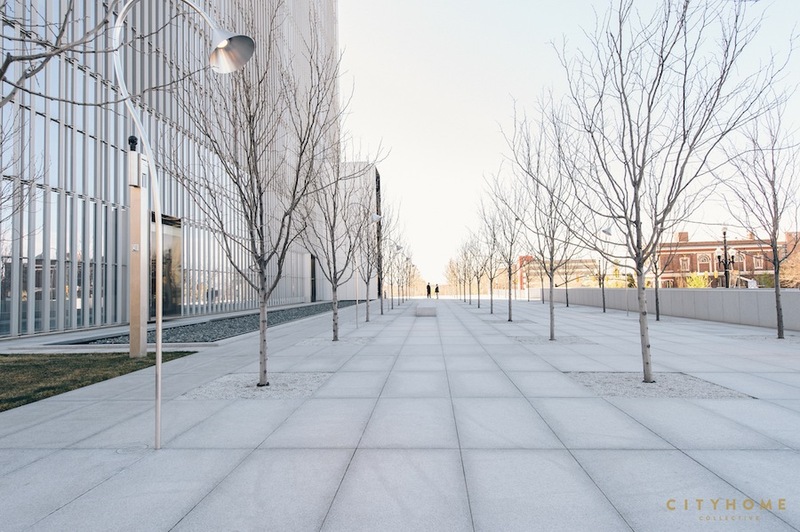 The courthouse, which is comprised of an inner structure and outer curtain wall system [engineered to protect against blast and seismic damage], is essentially a minimalist love letter to open space and natural light--one of the many reasons we're smitten with the structure. 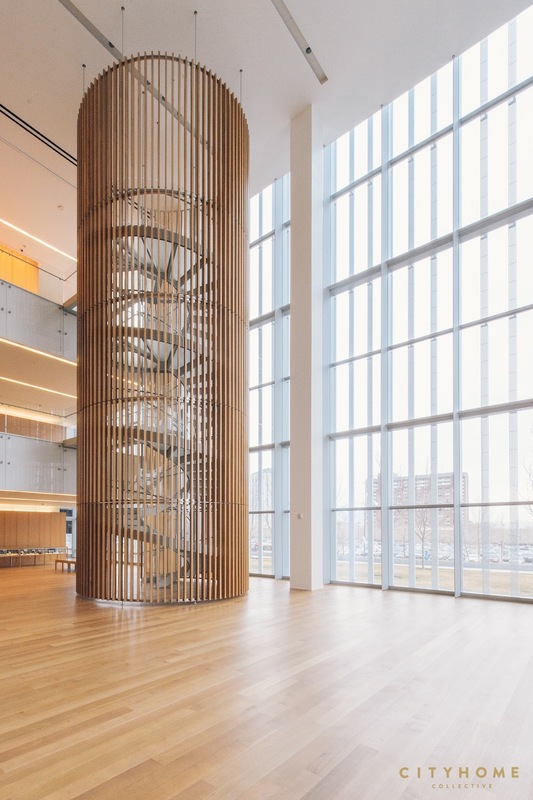 With its atypical layout, awe-striking suspended staircase [which allows for shifting in the event of an earthquake], and multi-layer glass running between north and south ends of the building, it's a total one-off and absolutely breathtaking. 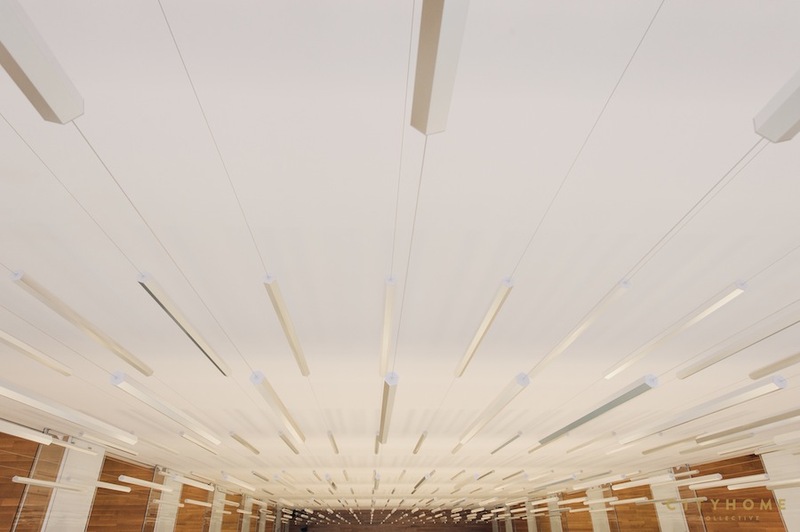 The building's construction was scheduled to take 38 months, and it was finished exactly on time. All told, it can be described as sleek, super green, and unapologetically modern. 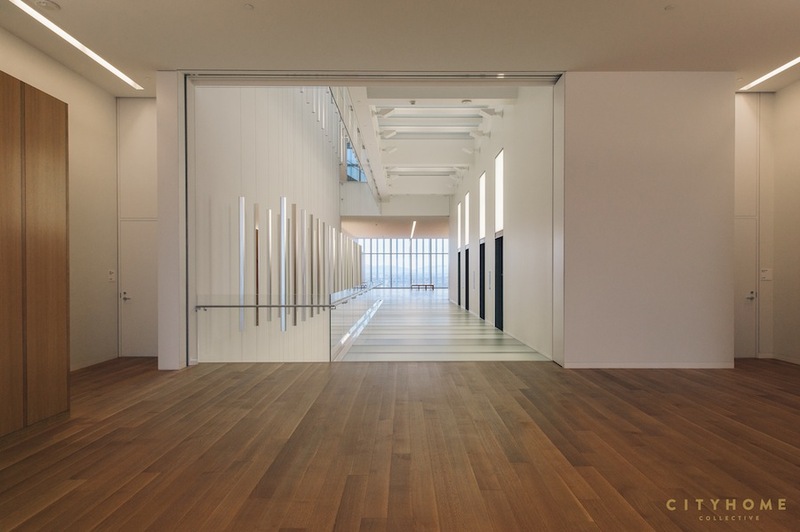 The clean and modern exterior is superbly complemented by a surprisingly warm, if nominal, interior with oak floors and [gorgeous] chambers finished in cherry. 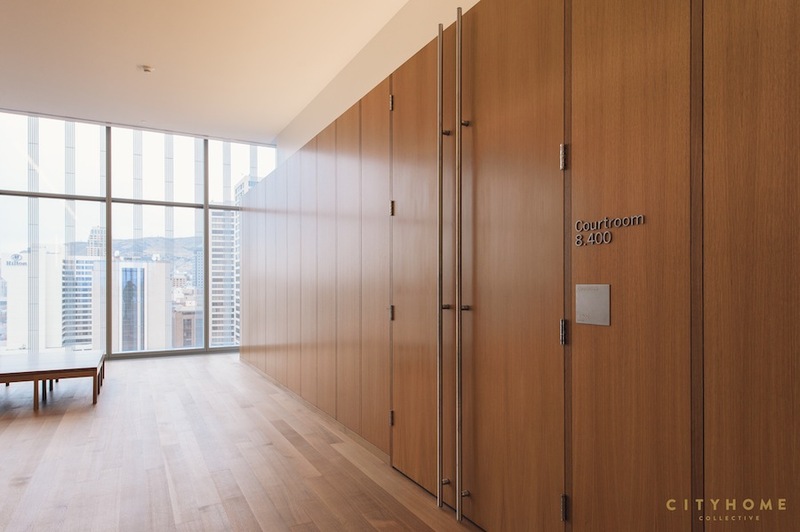 The ground floor is reserved for clerks offices and grand jury space, with courtrooms on floors 7 and 8 and judges' chambers [supremely] on 10. 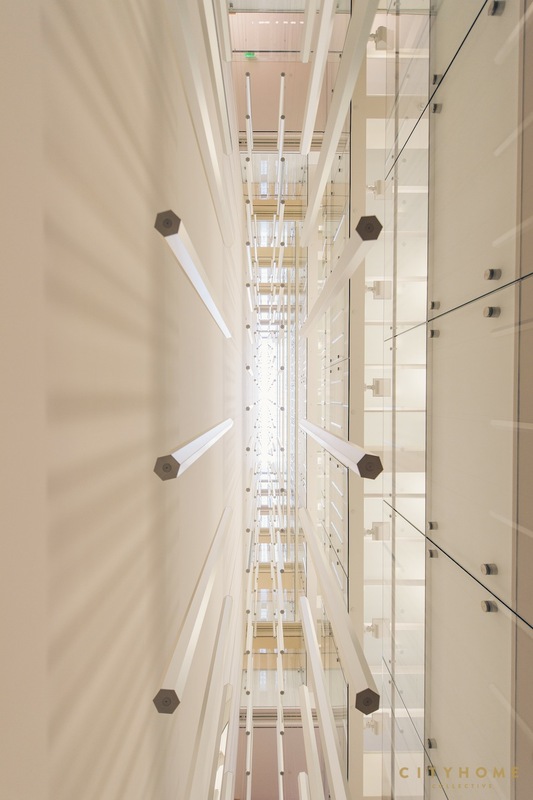 One of the most stunning parts of the building is the massive art installation that climbs the entirety of a 10-story atrium. 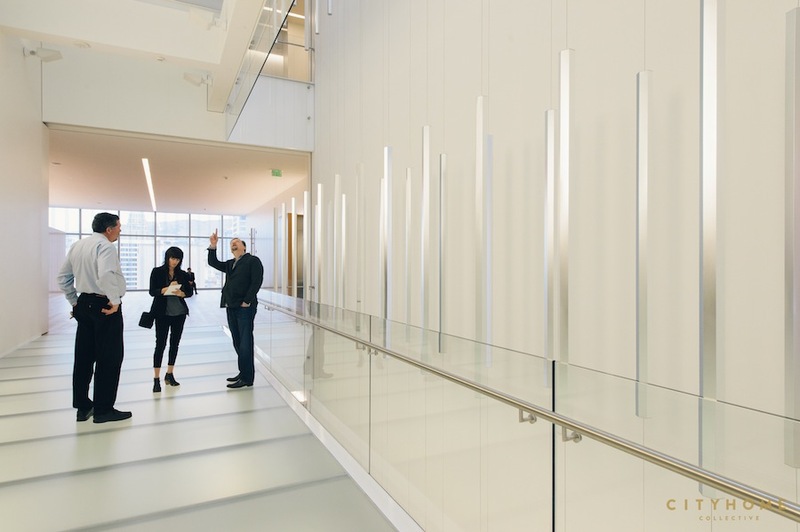 Created by artist, James Carpenter, and consisting of 380 hexagonal tubes of optical aluminum, the piece feels very much a part of the architecture in that it both enhances and respectfully bows to the design. 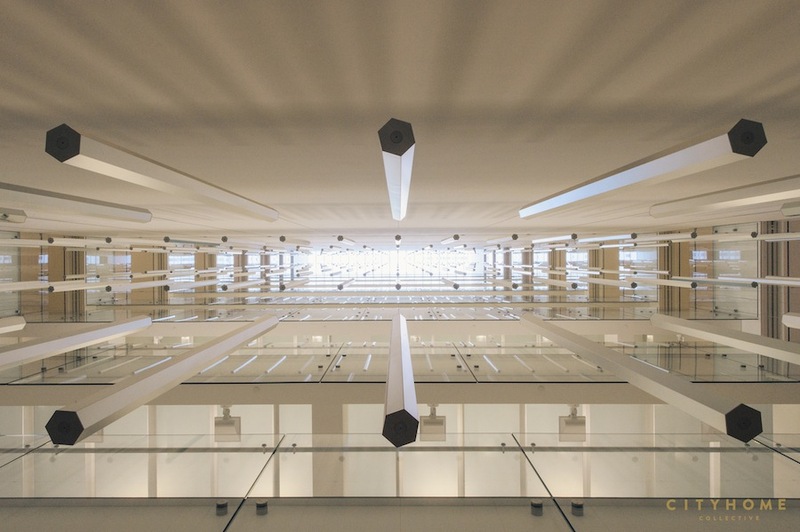 There’s nothing else like the courthouse in town, and though we feel fit to barrage the space in accolades, in a cruel [but not surprising] turn, the building has its fair share of detractors [some have likened it to the Borg Cube from one of the Star Trek movies]. We’re okay with that. 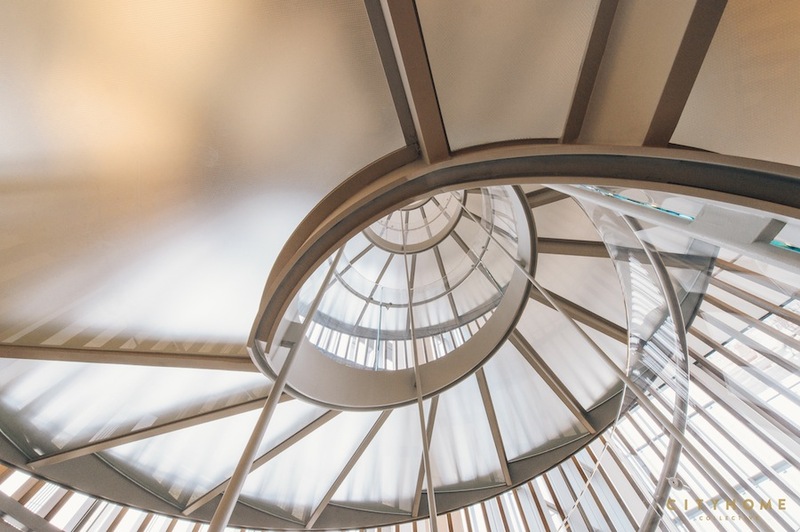 We're always down to root for a handsome underdog, and we happen to believe that public architecture is at its best when it’s brave, bold, and controversial. There are lots of Keating buildings out there. We could do with a few more Roarks. 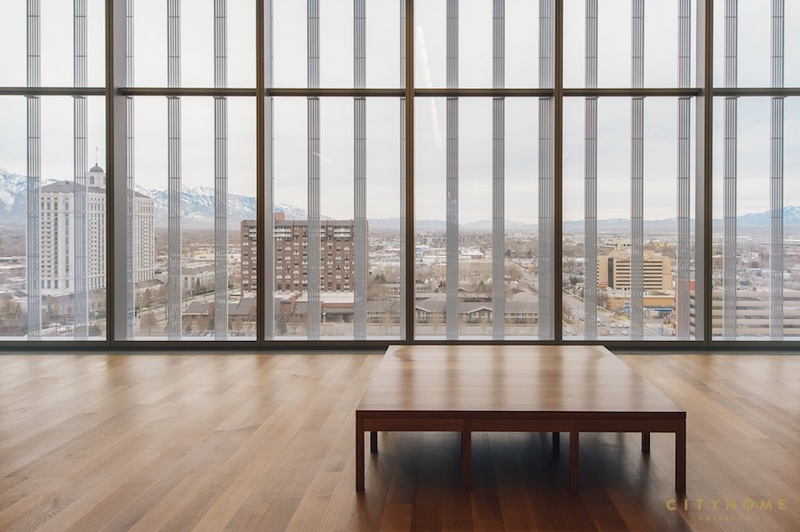 We recently had the honor of speaking with Stephen Dayton, project partner with Thomas Phifer and Partners, about building modern, green, and downright legendary in SLC. 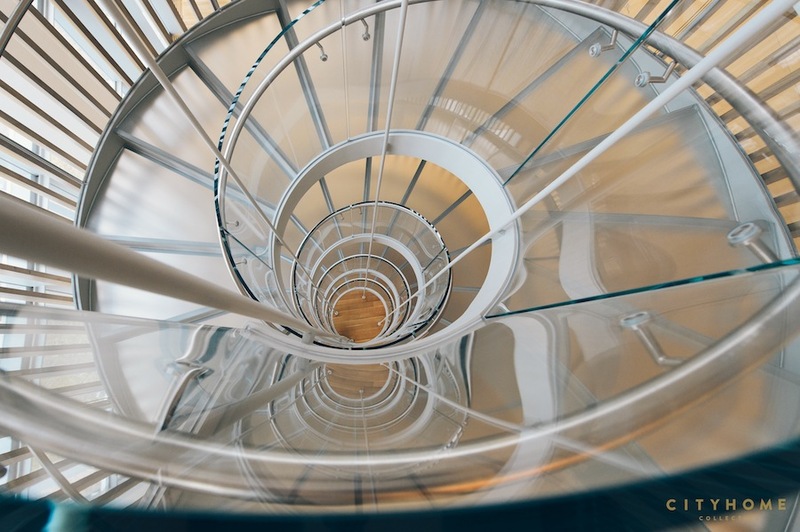 Your firm has done some magical work with glass. What is it about that material that appeals to you? 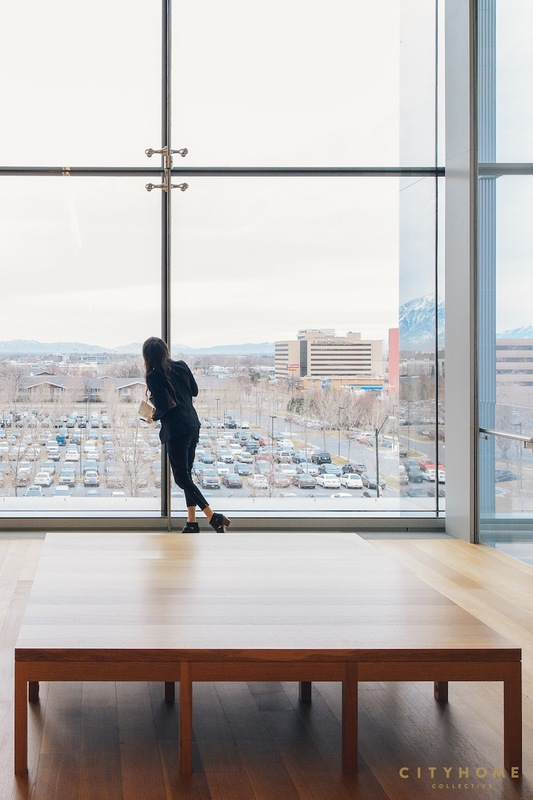 I think it comes primarily from a sense that daylight is a quality of the environment that enhances every activity, whether it’s a residence or a civic building, especially in Salt Lake City, which has a special quality of light. 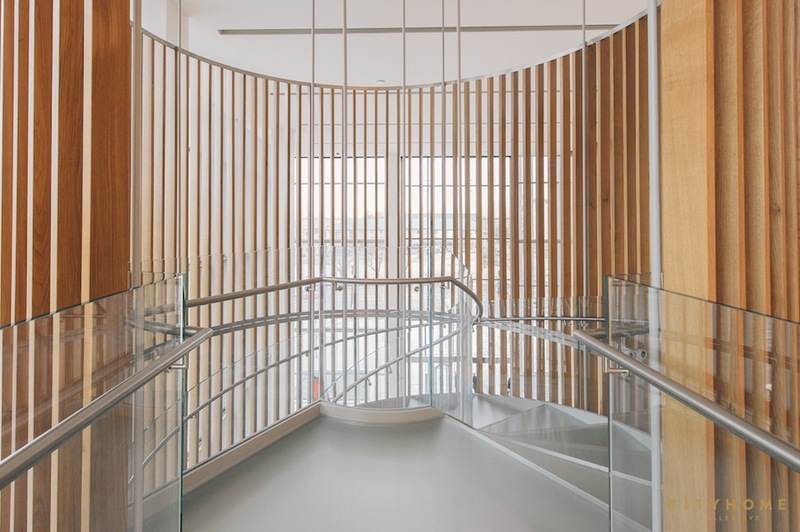 It’s an aspect of our natural world that we try to bring into all our buildings. 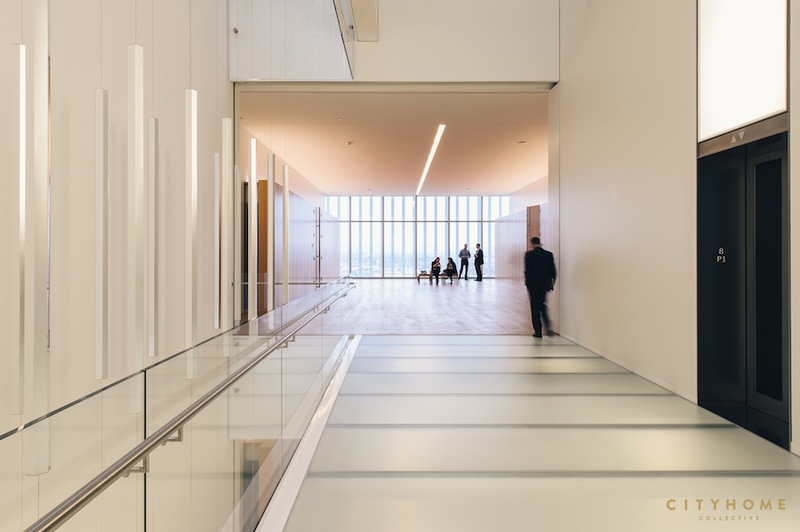 The courthouse is on track for LEED Gold certification. 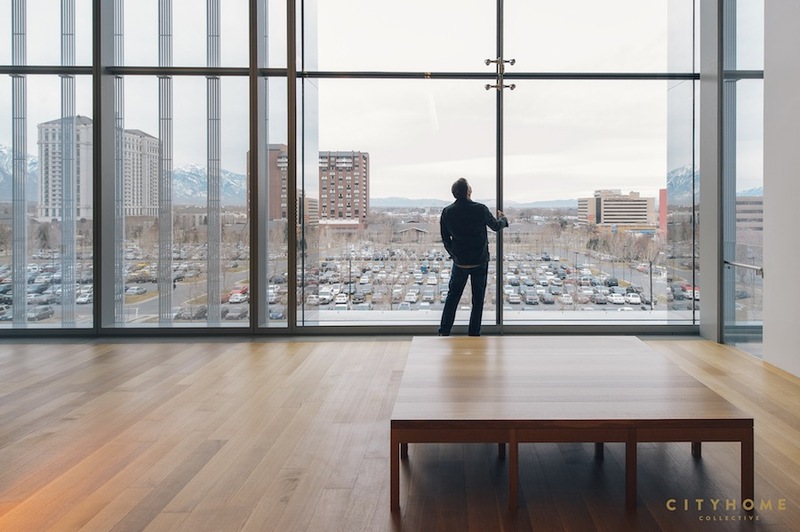 With our intense summer sun and LEED’s emphasis on energy efficiency, that can’t have been easy with a glass building. How did you do it? Good question. 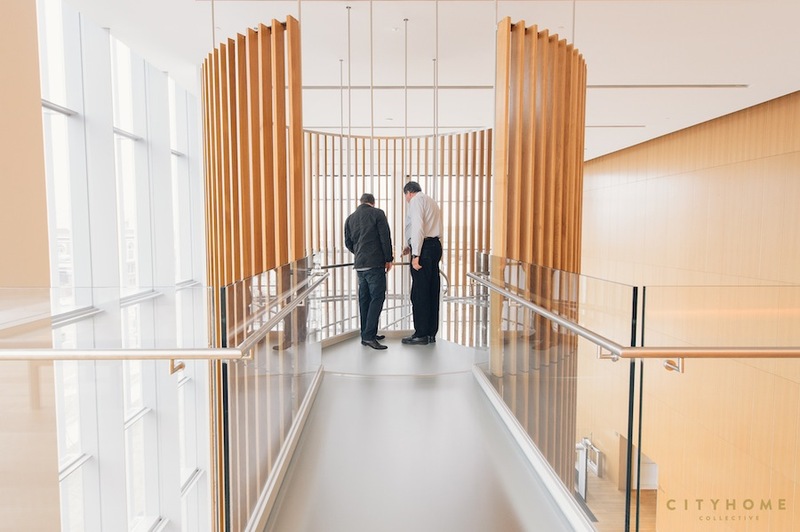 Even the GSA [the U.S. General Services Administration, which provides facilities management for federal buildings] didn’t believe we could do it for a long time. 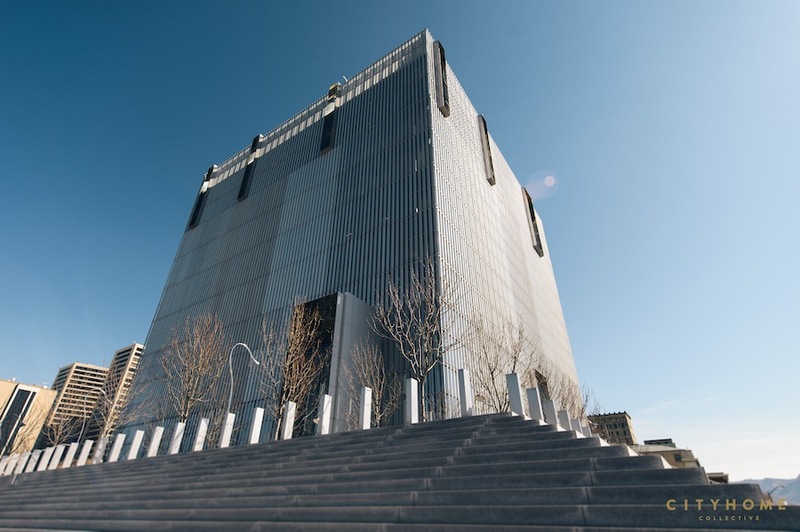 We wanted it to be a very transparent building, not a fortress like courthouses have tended to be. 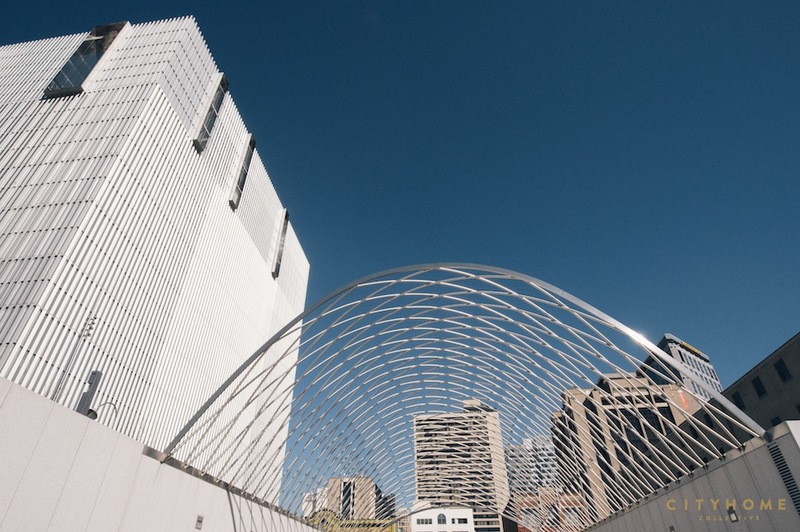 The idea of the sun shading became a critical part of achieving the project. 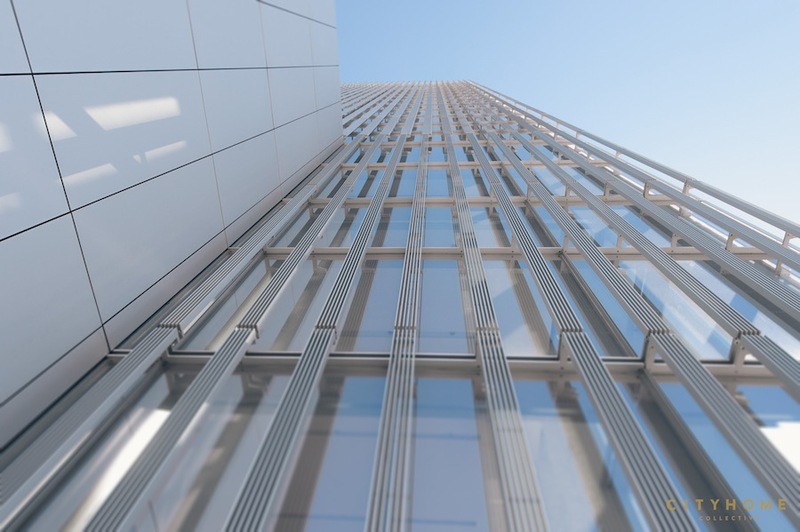 We created a louver system over 40 percent of the glass that responds to the specific sun conditions on each side. 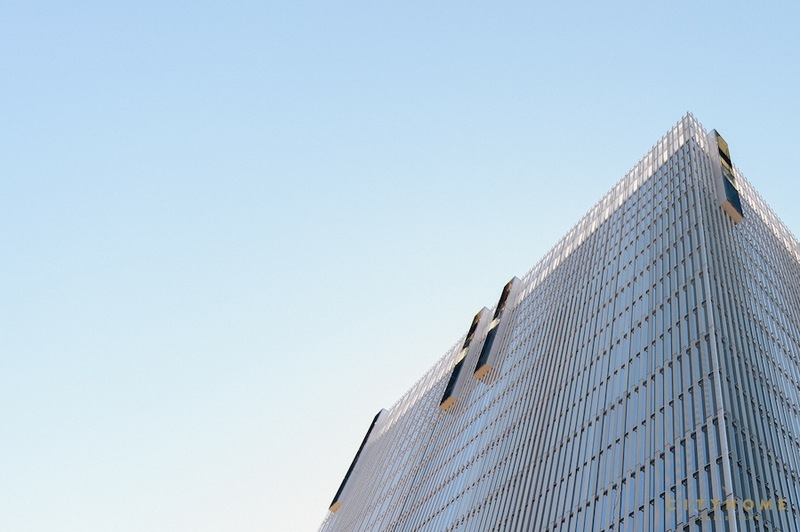 And we used varying levels of ceramic fritting at different locations of the building which cuts solar gain by another 40 percent, but doesn’t affect the occupants’ ability to see out all that much. 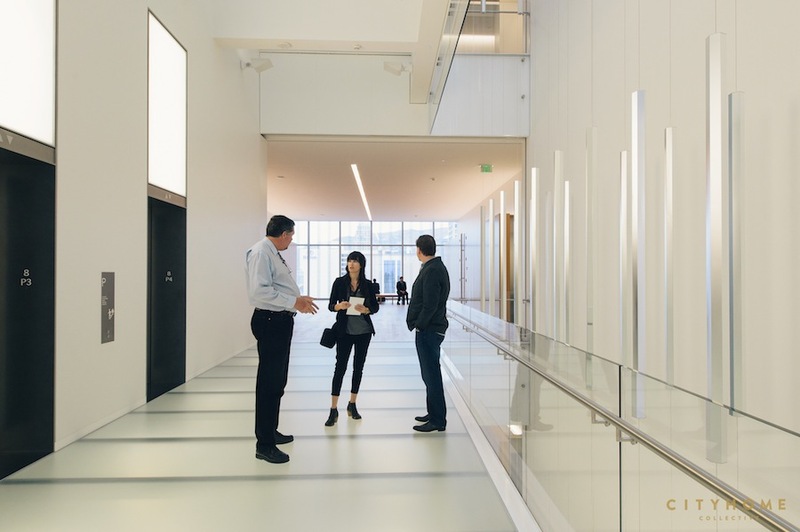 As a result of these and other strategies, the building ends up getting a high number of LEED energy efficiency points. 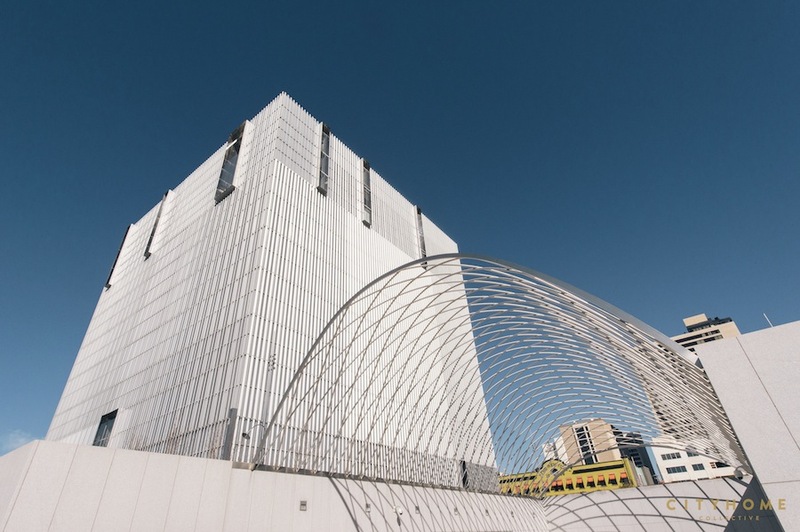 After Oklahoma City and 9/11, federal buildings need to satisfy extremely demanding security requirements. How did that factor into the courthouse design? The first step is to pull the building back from street edges, with the idea that a vehicle threat is one of the most important to design against. Another issue is blast design, with the goal of keeping the exterior intact in the event of an explosion. Glass turns out to be a very good material in this regard because it’s ductile. And most of the building is elevated, with bollards all around. 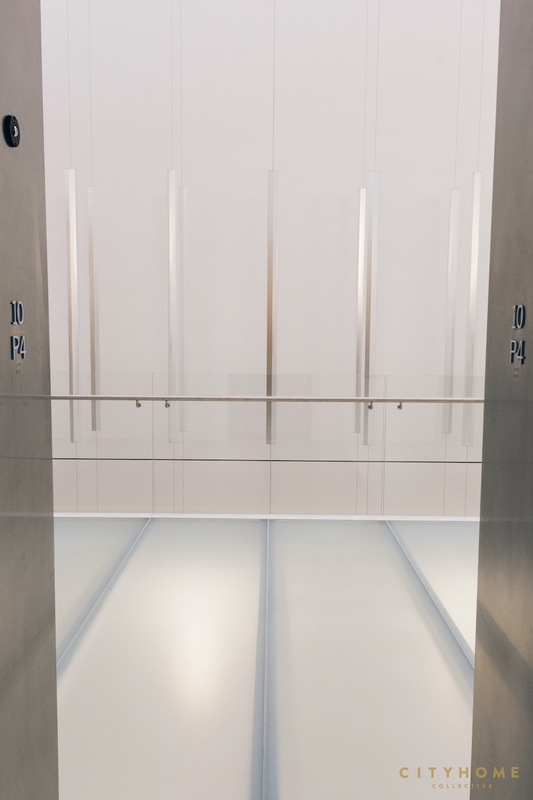 The long linear elements of the design don’t leave much room for construction imperfections. Were you able to find the craftsmanship you needed locally? [Salt Lake City-based] Okland Construction was the contractor and they were absolutely terrific. They were such a partner in making a great building. The exterior louvers were built by Benson Industries in Portland, Oregon. 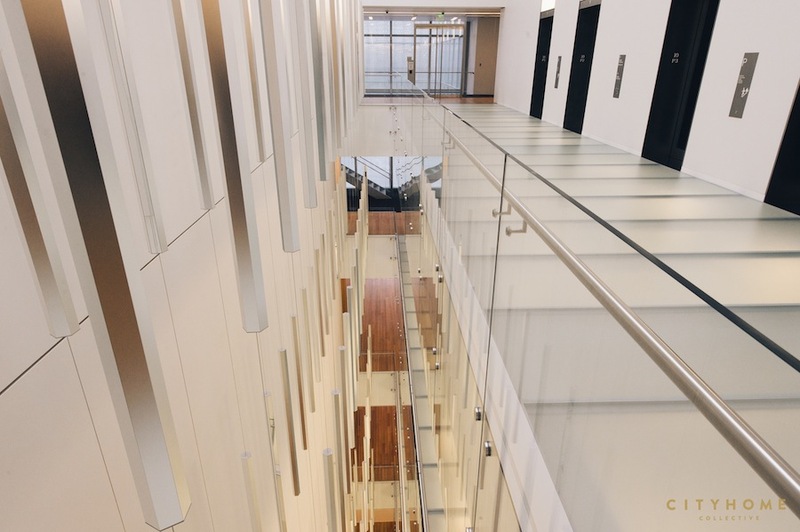 Beehive Glass in SLC provided much of the interior glass and steel, including the circular lobby stair. If you go up close to the building, you’ll see how carefully it is put together. 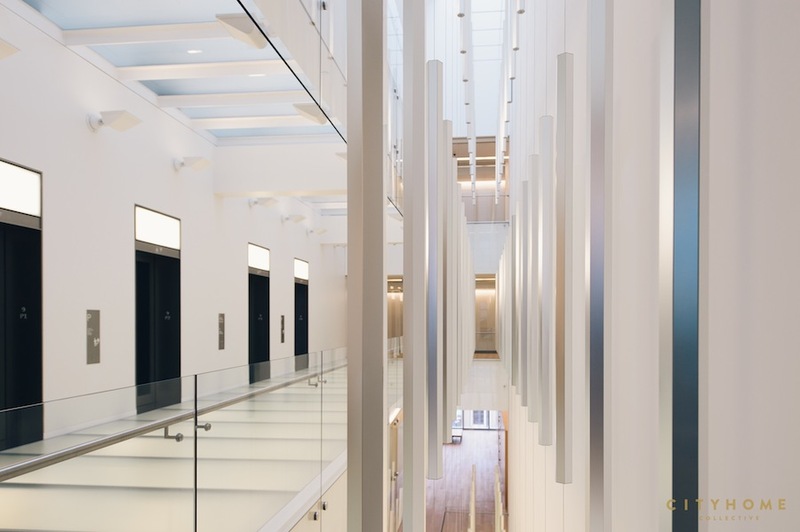 The millwork was done by a local company called Fetzer Architectural Woodworking, which works all over the country and knew how to get it done. 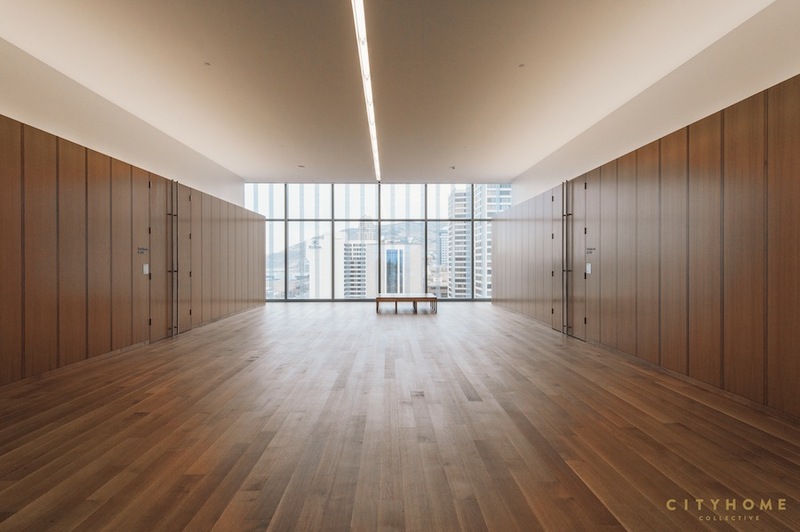 I was struck by the wide plank oak floors in the lobby, which I thought were a surprising but beautiful choice for a high-traffic modern building. The design has a few nods to tradition. The wood floor is one of them. It was also one of our ideas for how to make the building more inviting. The floors were done by Comflors in northern Utah. 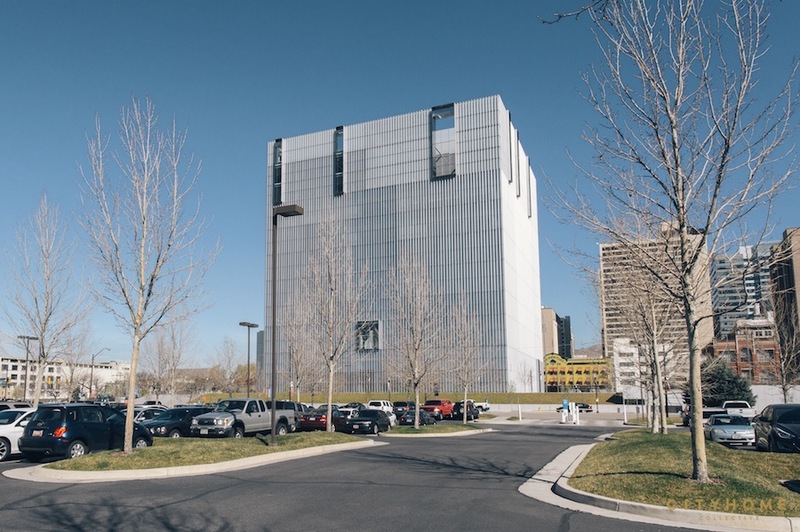 Any chance we’ll see another project by Thomas Phifer and Partners in Salt Lake City [fingers crossed]? We don’t have anything on the boards but we would love to do more work out there.